Good find, Skip - 'the osprey of violinists'? - well I'll have to take your word for it unless I find one...So is it one of those four-figure examples then? There's a lot of Kogan records - surely they can't all be worth a mint - isn't a lot of it down to the analogue goodness or otherwise? No I think this particular LP is worth roughly the pound that I paid for it. Even in minty condition (which classical LPs have to be to be worth anything on the collectors market) it wouldn't be worth too much. I have a bit of an idea of what to look for with classical vinyl - labels, artists, catalogue IDs etc so that if I do see anything interesting I can pull out the smartphone and have a look. This ticked the Kogan box but none of the others. That said he is a charity shop rarity. 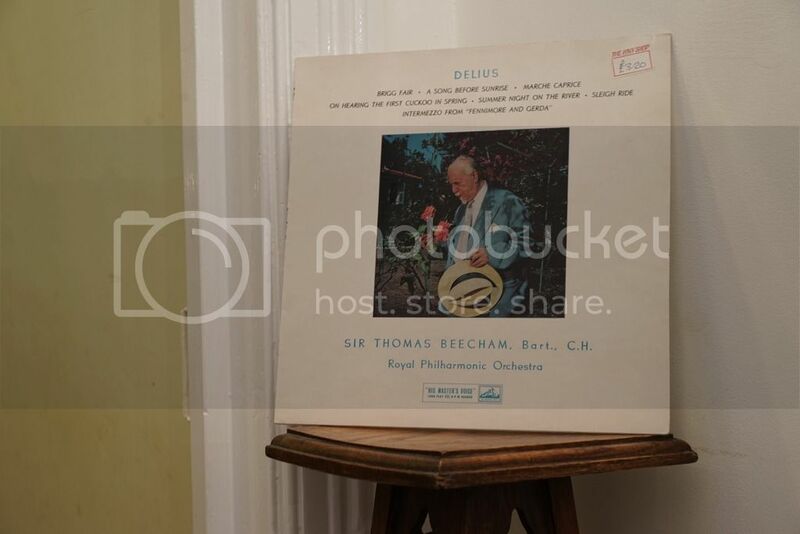 You're much more likely to see David Oistrakh or Yehudi Menuhin LPs. I've had Kogan on my look out for list for ages without any cropping up. I bought it entirely out of interest. I have to say that while his playing is definitely exciting it's not really for me and will probably be released back into the wild. It's all a bit too Russian for my taste and that's before the fact he's playing Tchaikovsky. I'm starting to develop a taste in classical music and exposure to this sort of thing all helps. Ultimately I'll probably steer away from Virtuoso violinists and pianists because I think you probably need an appreciation of the instrument to appreciate the music. I liken it to technical maestros like Joe Satriani and Steve Vai - I've known guitarists who revere their work but to me much of it sounds like soulless noodling. I know enough to understand that the soul is in the playing and that I have cloth ears for that breed of guitarist. Ultimately I'll probably steer away from Virtuoso violinists and pianists because I think you probably need an appreciation of the instrument to appreciate the music. Being able to play the instrument in question certainly endows a deeper understanding and appreciation of the skills being displayed. That said, unsurprisingly, many of the best recordings are by the best musicians. Avoiding them potentially sends you cruising into the realms of mediocrity. 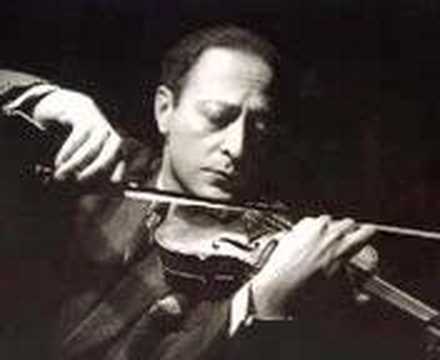 This is uber virtuoso Jascha Heifetz. I think he's totally approachable, see what you think? No I won't be avoiding them. I'm definitely leaning towards small groups and soloists in favour of full orchestral performances. 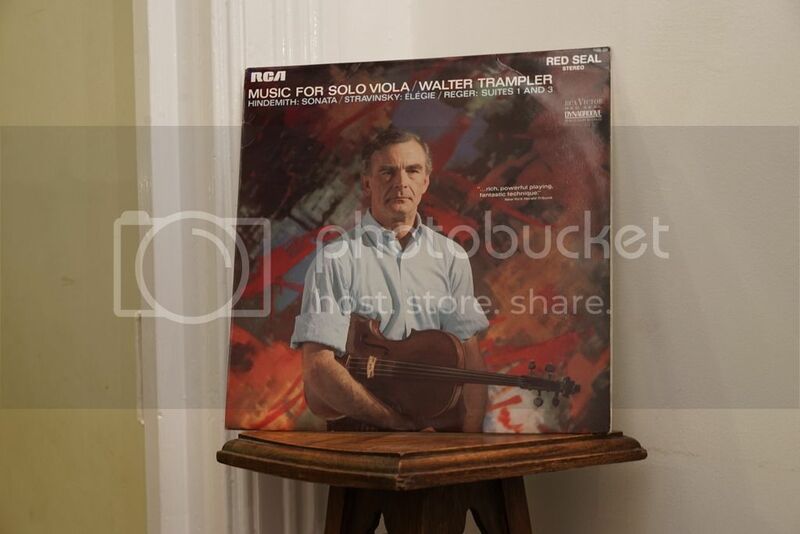 I picked up this solo viola LP this month too and it's very rewarding. I'm not sure what it is that I don't connect with on the Kogan LP. It's all a learning journey. 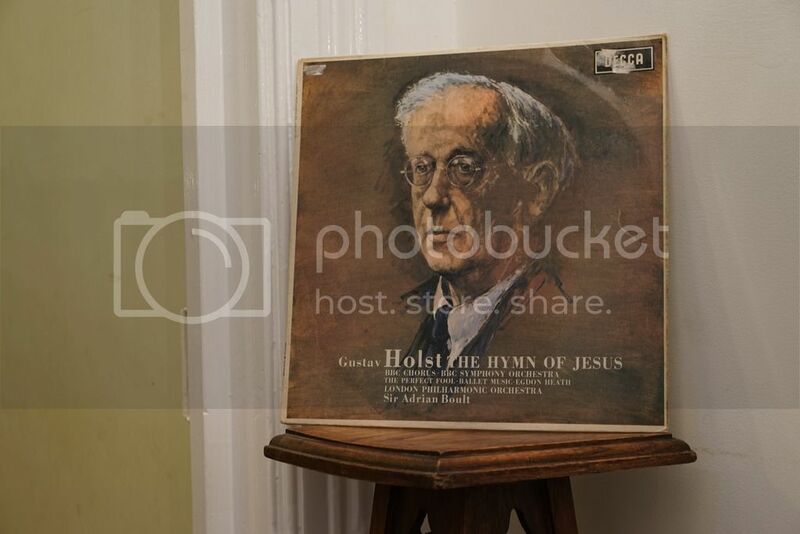 Many thanks for the link to the Heifetz performance, I did enjoy it. The other day at the library sale I noticed that there were a number of albums by Hans Werner Henze. Which to choose? I decided upon “The Tedious Way to the Place of Natascha Ungeheuer”. So, what have we got here? Schoenbergian Sprechgesang – check. Taped interludes – check. Improvised sections – check. Free Jazz group – check. Other orchestral elements each symbolising some participant in or aspect of the class struggle – check. Car parts serving as instruments – check. Bananas agitprop libretto – check. Henze has a poke at the avant-garde in his sleeve notes. So, I suppose that deploying the full armoury of the avant-garde might be some sort of exercise in Marxist dialectics. One listen. Never again. It has almost nothing going for it - the vocals being the deal-breaker. I propose that we each acquire an album by this guy and meet up at Giant Chicken’s place for a Henze night. I’ll bring Don Cooper as a palate cleanser. The good news is that when I picked this up I also picked up something that I like. I hope to say a bit about that quite soon. I'd recommend giving his autobiography 'Bohemian Fifths' a go. It's a good read, and he can be quite camp. As for his music the String Quartets and his music for guitar float my boat. 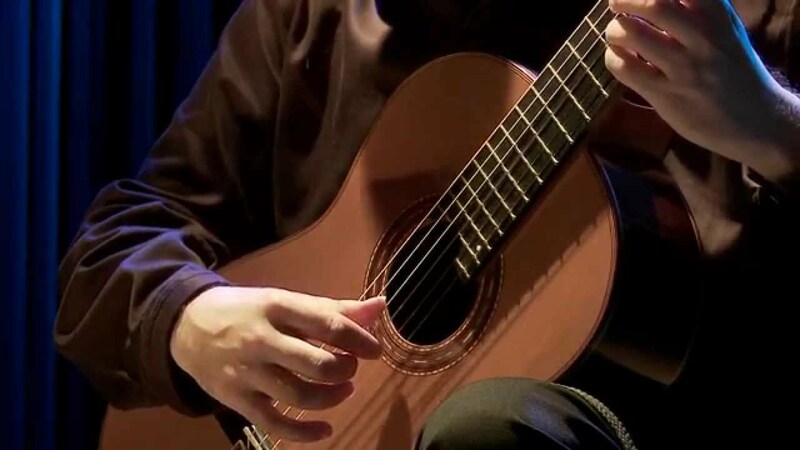 I know some people don't dig classical guitar (especially of a modern turn) but I listen to quite a bit. I propose that we each acquire an album by this guy and meet up at Giant Chicken’s place for a Henze night. I'd go for the piano concerto, but you're different aintcha? Take the box! Take the box! It is unusual for me to like vocal music. So, I am wary about "Voices". Somehow I also formed the impression that El C was voice-heavy. "Natascha Ungeheuer" clearly had a vocal component, but I was swayed by the mention of the jazz and the perc-guy (whose name escapes me for now - Stomu???). Also I like the name "Natascha". 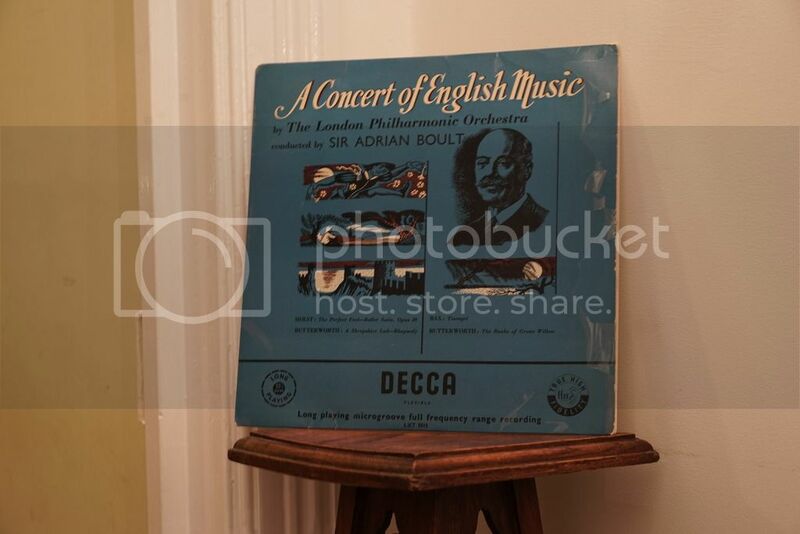 Piano Concerto had a striking sleeve. Stomu Yamashta? His early work is best before he went all cheesy fusion. Funnily enough if it is indeed him I have a copy of his 'Red Buddha' album on its way to me. Very talented dude! Nothing special in terms of collectibility but it's my third Dinu Lipatti LP. I'm over familiar with Grieg's piano concerto but the Schumann concerto is excellent and I'm happy. He's a wonderful pianist. I can't describe what it is that I love so much. There's a purity and warmth that I don't find in a lot of piano music (to the extent I tend to steer clear). He died tragically young at 33. Here's his last recital which starts with Bach's keyboard Partita #1. I can put this on and forget myself completely. 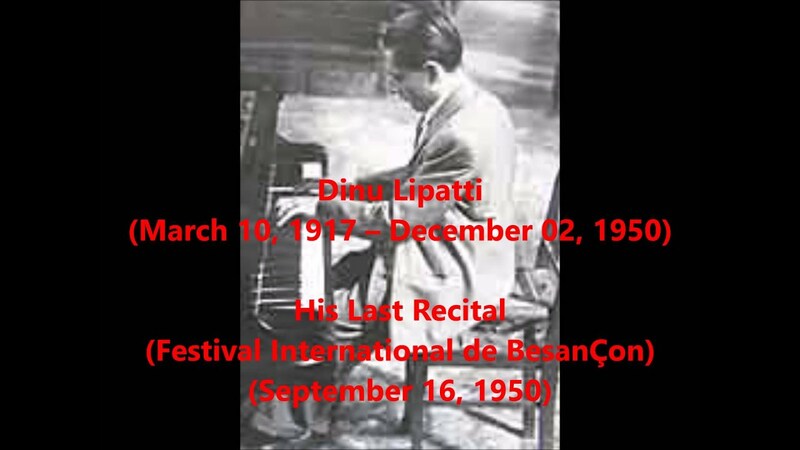 Lipatti was taught by Alfred Cortot. He's also worth checking out, though obviously many of the finest performances aren't Hi Fi recordings.